Scotland's business tourism industry is worth more than £1.9bn to the country's economy, according to MPI's UK Economic Impact Study (UKEIS) report published today (10 July). 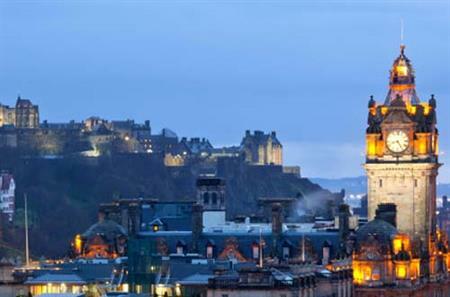 The extensive research revealed that, in 2011, Scotland hosted 86,524 meetings, of which Edinburgh hosted 28,553. The report also revealed that business events generated £5.6bn for London's local economy. In total, the UK meetings industry delivers £58.4 billion to the UK’s gross domestic product (GDP) and is the UK’s 16th largest employer with more than half a million people directly employed. Neil Brownlee, head of VisitScotland’s Business Tourism Unit, said: "This long awaited report is the UK equivalent of similar research commissioned by the US meetings industry two years ago. It confirms that the meetings industry, or business tourism as we call it here, is an absolutely key sector supporting not only conference centres and hotels, but thousands of other operators not normally associated with tourism, such as AV companies and activity providers. "It also reminds us that while tourism is one of the Scottish Government’s key target sectors, business tourism uniquely pulls from all the other sectors such as Life Sciences, Energy and Food & Drink. It really is a shop window for Scotland."